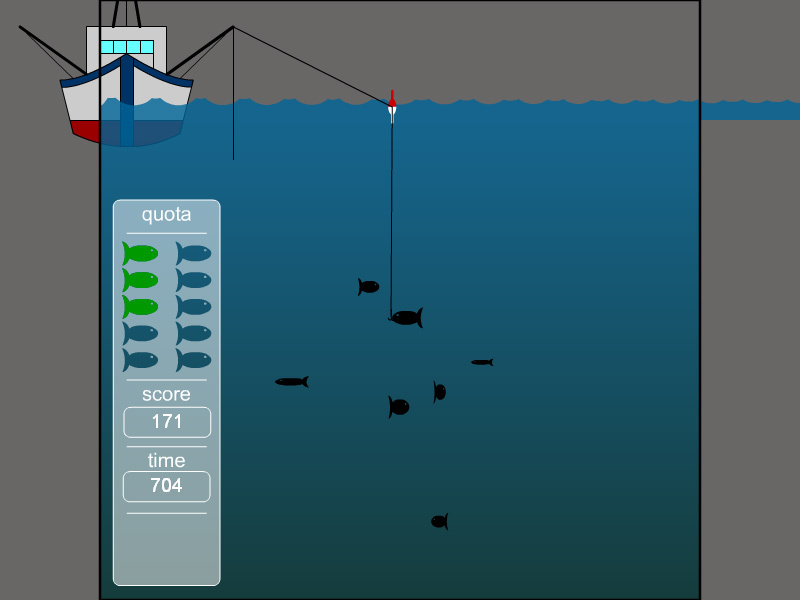 "Fishing the Sea" is a small online game about the fishing sport. Use the mouse to catch a fish and carry it to the boat. Free online game. Sports learning game. How to play Fishing the Sea. 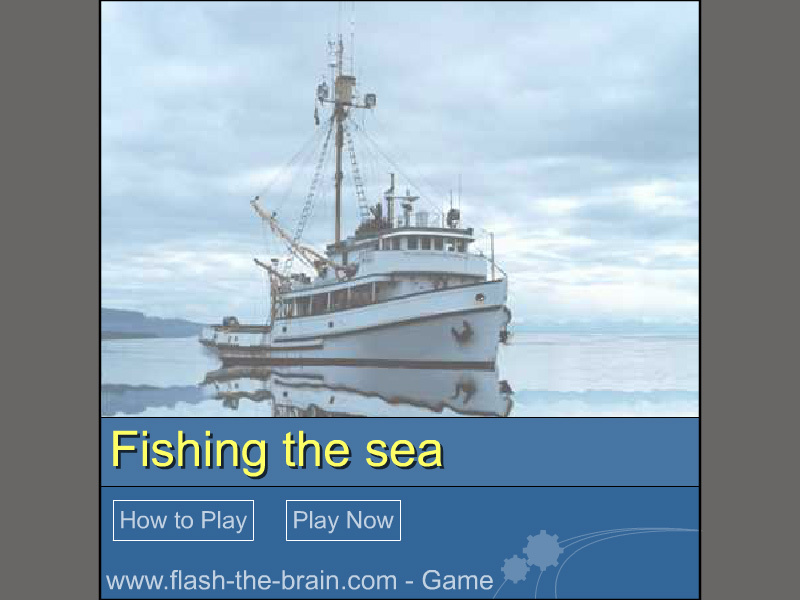 This is a classic game made by flash-the-brain.com. Use the mouse to catch a fish and carry it slowly to the boat. Detailed rules of the real fishing sport are described in the Class subjects section. he most common form of recreational fishing is done with a rod, reel, line, hooks and any one of a wide range of baits. Other devices, commonly referred to as terminal tackle, are also used to affect or complement the presentation of the bait to the targeted fish. Some examples of terminal tackle include weights, floats, and swivels. Lures are frequently used in place of bait. Some hobbyists make handmade tackle themselves, including plastic lures and artificial flies. The practice of catching or attempting to catch fish with a hook is known as angling. Labels: Sport Games , Outdoor Games , Arcade Games , Free Online Games.